Tree makes a request to those who have read its story. It may not remain, but remember and think of it. When you pass by trees imagine them to be your friends, and stroke their trunks with affection. Remember, that like you, they too experience sadness, joy and pain. 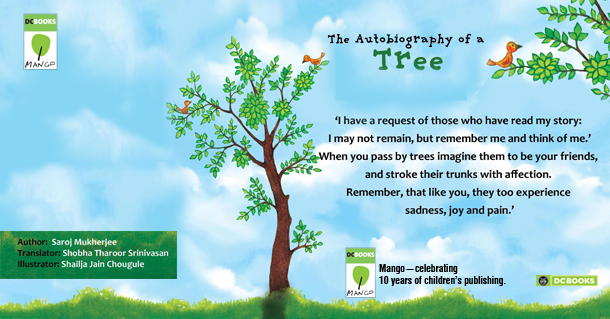 Tree speaks, in this extraordinary story of friendship and learning. As the tale unfolds, punctuated by dramatic encounters and exciting celebrations, we learn what really matters in life. Read, learn and spread the word with Mango! So what are you waiting for? This April pick this one because not every month you get to read what a tree says!